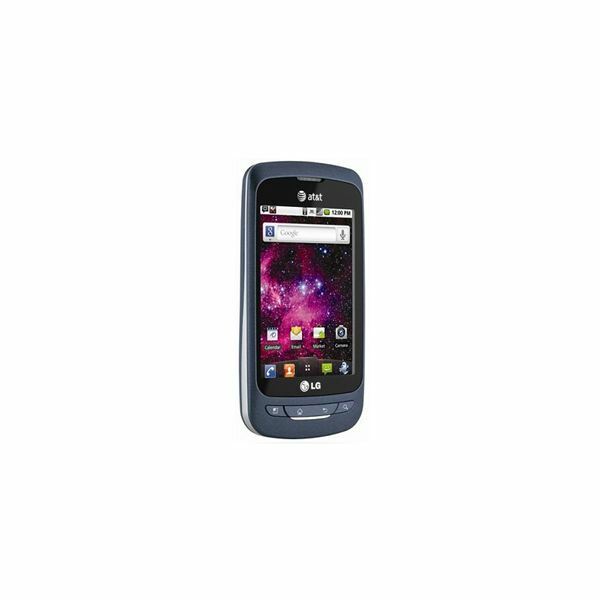 So far every major service provider has offered its customers one form or another of the LG Optimus One, except for AT&T. For some reason the communications giant missed out, on one of the best selling cheap Android smartphones in the market. But not anymore, AT&T aims to change the game with their own version of the Optimus, which has been reborn from the ashes as the LG Phoenix on AT&T. So if you're looking for a good, cheap Android smartphone on a GSM network, or if you're upgrading to Android on AT&T's network, the Phoenix is definitely worth taking a look at. Where better to take that critical look than right here on Bright Hub? Minimalism seems to be the main theme of the Phoenix's design, the phone is made entirely out of a cheap, but strong, plastic with an all around matte finish. The phone comes in either gray or a limited edition white, both colors have the same specs. The phone is fairly dainty with dimensions of 114 x 59 x 13 mm and it doesn't weigh much at only 91 g.
Now the phone has a 3.6 inch capacitive HVGA screen, which is a relief. It is capable of supporting 262,000 colors with a resolution of 320 x 480 pixels, which is a bit on the low side, but adequate nonetheless. Beneath the screen we have actual buttons! Pretty rare on modern Android phones, touch sensitive buttons are all the craze right now with manufacturers. These buttons are, starting left to right; Menu, Home, Back and Search. The left side is empty, the right side houses the somewhat swan neck like volume rocker, which needs a precise press if you're turning up the volume. The top has the very small and thin Lock/Power button and 3.5 mm jack and at the bottom we have the mic hole and open USB port. 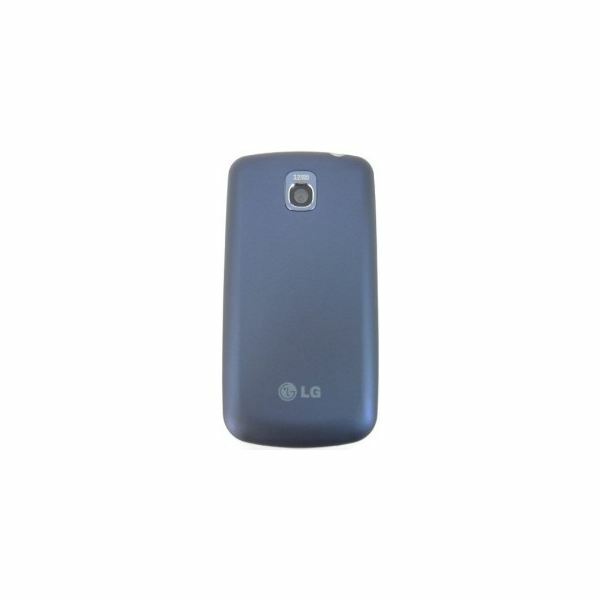 The back contains the square 3.2 MP camera lens. Popping open the back cover reveals the battery and microSD card slot and the SIM card slot is under the actual battery. The only real complaint I have with the user interface is the pixelated text and icons. It is not a particularly big problem, but it is there nonetheless. Other than that, the entire user experience is pleasantly surprising, everything moves at a very zippy pace and there are almost zero lags or stutters, even with Live Wallpapers turned on. It almost feels like an 800 MHz processor. Now fans of Froyo (2.2) will be pleased with the Phoenix, apart from the call dock and a few extra options in the pull down bar, the experience is pretty much pure Android 2.2.1. Unfortunately, the phone is chock full of bloatware from AT&T. If you're buying the phone from another carrier this should not be a problem. But if you are a user of AT&T's services and apps, the Phoenix comes with: AT&T FamilyMap, AT&T Code Scanner, AT&T Hot Spots, AT&T myWireless, AT&T Navigator, AT&T Radio, Live TV and a host of other stuff, keep in mind that you can't get rid of them without re-installing the OS. The Phonebook is a completely stock Android experience, you can sync your contacts, Facebook friends and Twitter feeds. The number of contacts is limitless, which means you can store as many contacts as the 160 MB internal memory will allow. Messaging is also completely in hand with SMS, MMS, email (generic and Gmail) and IM, also there are native Twitter and Facebook apps. There are two keyboards available, one is from LG and is one of the worst keyboards out there, the other is the much better Android keyboard. The Phoenix has a completely average set of features for a low end Android device. The good news is, apart from the camera, the phone does not shortchange you. Let us start off with connectivity. The phone is perfectly capable of roaming in any GSM country with support for all the following formats; 850, 900, 1800, and 1900 for 2G, and 3G is handled via 850, 1900 and 2100. Local connectivity offers no surprises but is nonetheless completely adequate with Bluetooth 2.1, Wi-Fi b/n/g and of course USB 2.0. Now for the phone's engine, which is a 600 MHz ARM 11 processor. It's as zippy and lively as any 800 MHz processor I have ever seen. The graphics chip is the Adreno 200 GPU, which means you can play 3D games on the Phoenix, but don't expect them to run smoothly. To top off everything we have the Qualcomm MSM7227 chipset, internal memory is 160 MB, the RAM is a spacious 1 GB and the phone comes full circle with 512 ROM, you can add a 32 GB microSD card without a problem. Now for the phone's downfall — its camera. The 3.2 MP auto-focus snapper produces washed out looking pictures, with absolutely no accurate detail on distant objects and has a permanent, but light, shade of white, which makes the washed out pictures look worse. This is not the worst 3.2 MP camera I've seen, but it isn't the best either. Overall do not try and use the Phoenix as your primary snapper. Also the auto-focus seems to be a bit off, it focuses on a scene very slowly, and softens detail on close up shots. The camcorder does not fare any better. You get pixelated and noise speckled results from the measly 17 FPS frame rate VGA videos, even if they are shot in 640 x 480 resolution. Music is very well catered for, you've got the standard Android player, which gives no cause to complain for the average music enthusiast. Audio quality maintains itself very well, no crackles or distortions, even when the volume is turned to its loudest setting. There is also support for a wide range of audio formats, among them are MP3, AAC, AAC+, WMA, WAV and AMR. The video player can play videos at the maximum resolution of 800 x 480. Videos play smoothly with any audio hiccups, and there is support for MP4 (H.263 and H.264), WMV and 3GP videos, unfortunately videos look washed out and lacking in color. The phone has a pretty average accelerometer, the proximity sensor is accurate, and the GPS takes about 5 minutes to find your location from a cold start. The FM radio player is also stock Android, though sound is a bit better than average. Now we come the most testing section, where we check if the Phoenix's call quality, browsing experience and battery check out. Call quality is not flawless, there is a constant amount of flux in the call volume, which does not happen on loudspeaker, but the loudspeaker's loudest volume is still on the low side. Plus there is a bit of crackle in low coverage areas, and the 3G signal bar can at times be misleading. On the other hand, the browsing experience is a completely different cup of tea. Even by Android standards the experience is very good, the zoom-to-pinch can easily rival the first iPhone, pages load in about a minute in 2G and about 12 seconds on 3G, the only gripe I have with the browser is that some text needs to be zoomed to the maximum so as to be readable. Pages load without trouble with all pictures and small Flash elements properly rendered, apart from the YouTube videos, there is no native Flash support. Battery life is also pretty good by smartphone standards, whereas most smartphones barely make it through a day, the Phoenix did so and with some power to spare. The phone does come with a generous Li-Ion 1500 mAh battery, which can power you through 8 hours of talk time and two days on standby, all in all, pretty good. The LG Phoenix is not an excellent Android smartphone, but it does provide an excellent user experience. Which is its major strength, anything you want to do with the Android OS the phone will do it well without breaking the bank. But every phone has its flaws, the Phoenix has relatively few of them, and none are too detrimental. Here are the flaws in summary — bad camera, average to bad call quality, pixelated icons and text, smaller than expected screen resolution of 320 x 480 and washed out looking videos. These flaws might prove to be too much, depending on your uses for the Phoenix, but if they're not a big issue for you, then the LG Phoenix is one of the best phones in its class.